Karl “Spool” Stiegman, Jr. passed away on Thursday, November 29, 2018 at the age of 65 following complications from a brain injury. He was a resident of Metairie, Louisiana. Spool was a guitarist, songwriter, producer, technician and local musician throughout the New Orleans area for many years. He has performed coast to coast for over 50 years, playing guitar and singing. He also worked as a videographer with Depo-Vue in Metairie, La. 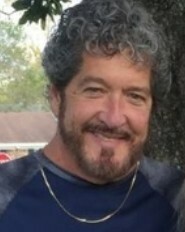 He is survived by his wife Faye Ferrage Stiegman, four children, Denise Engolia (Mark Merrell), Cyndi Buckel, Rachel Newman and Dan “Boomer” Newman (Lisa Newman); ten grandchildren, Anthony Engolia, IV, Taylor Carrouche, Danielle Engolia (Dave), Dominic Engolia, Brady Newman, Alexa Engolia, Karley Mongogna, Brittany Buckel, Bryce Newman and Caitlin Buckel and two great–grandchildren Cannon and Blakely. He is also survived by his mother Lois Brown and siblings, John, Stiegman and Karol Stiegman, as well as numerous loving family and friends. He was preceded in death by his father, Karl Stiegman, Sr.
Spool was a beloved husband, father, grandfather, great-grandfather, son, brother, friend, musician and videographer. Spool was loved by all and will be greatly missed. A celebration of his life will be held on Friday, December 7, 2018 at Tharp-Sontheimer Funeral Home at 1600 N. Causeway Blvd., Metairie, LA. Visitation will begin at 9:00AM with a Catholic Mass to begin at 11:30AM, with a memorial service to follow. Condolences can be expressed online at www.tharpsontheimerfh.com. Information 504-835-2341.